Combine butter and garlic; spread on bread slices and place on a baking sheet. Sprinkle cheddar cheese on each slice. Then place pan under broiler until cheese melts (2-3 minutes). 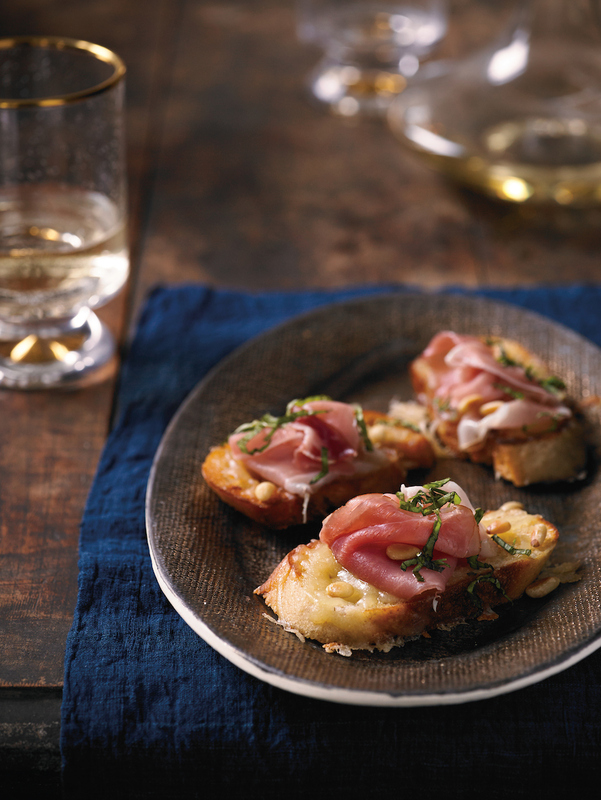 Cut prosciutto slices into quarters and set aside. Arrange warm bread slices on a large serving platter. Top each slice with 1 piece of prosciutto, a few pine nuts and some chopped basil.